Today we present a programme with two related focuses. On the one hand, the music of the recorder; and on the other, the work of the vastly talented multi‐instrumentalist and composer Richard Harvey, a leading recorder player and composer for the instrument. In particular, we feature his recently‐released recorder work, Concerto Incantato. The recorder goes back to mediaeval times and was a favourite right through the Renaissance until it fell out of favour, returning to the repertoire with the revival of interest in Early Music in the 1960s, thanks to groups like David Munrow’s Early Music Consort and Musica Reservata. 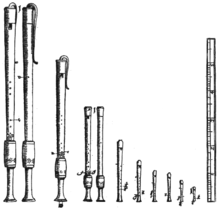 The recorder is what is known as a “fipple flute” — instead of blowing across a hole as in a transverse flute, you blow down the end, in which there is, essentially, a whistle. Read more about the recorder in this Wikipedia article. Today we’ll hear recorder music from mediaeval times onward, with a bias towards the Renaissance and Baroque eras. Richard Harvey has been a leading exponent of the recorder, but this multi‐talented multi‐instrumentalist has done a great deal more in his career to date than simply that. Following learning the clarinet at school and attending the Royal College of Music, he went on to become a member of Musica Reservata, but probably first came to prominence as front‐man in the “mediaeval rock band” Gryphon in the 1960s‐70s. We include most of their repertoire today — after all both Richard and his colleague, fellow RCM graduate Brian Gulland, played recorders extensively on almost every track with the band. 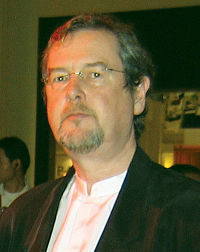 One aspect of Richard’s career we won’t be covering today is his extensive work for production music libraries such as KPM (including the album Nifty Digits, which is in fact a keyboard collection), corporate clients such as ICL, and ultimately an increasingly prestigious series of TV and film scores — so no Terrahawks or Animal Farm today — and also none of his collaborations with guitarist John Williams. What we will be including, however, are some of his classical recorder performances, and some of his compositions for the instrument, notably the Concerto Incantato, written for Michala Petri and the City Chamber Orchestra of Hong Kong, in a recording that was released very recently and receives one of its first radio broadcasts today. Michala Petri — one of the world’s leading recorder players — appears also performing some modern Chinese works for the instrument, which are really unusual and fascinating. 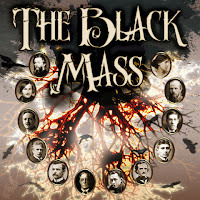 Then join us at 11am and 7pm Pacific Time — 19:00 and 03:00 in the UK — for the second story in our landmark radio drama series The Black Mass, created by Erik Bauersfeld and John Whiting in the 1960s and 70s at KPFA in Berkeley, California. 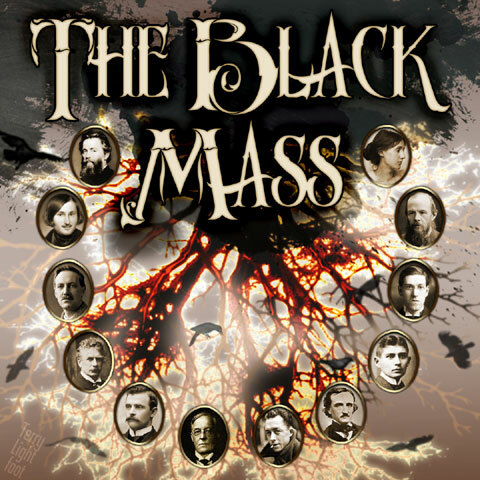 Tonight we bring you a tale by Bram Stoker: The Squaw. Don’t miss it!